Wits accounting science graduates excel in the South African Institute of Chartered Accounts board exams. 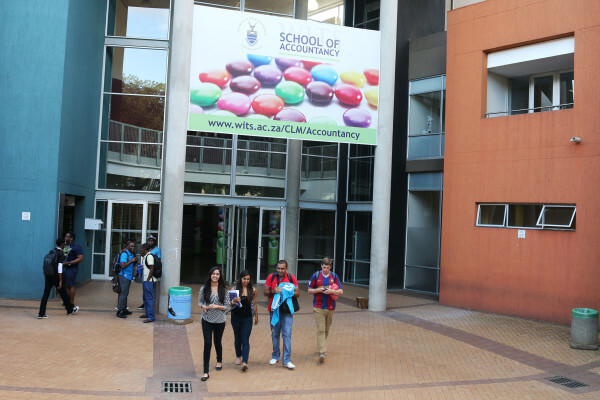 Wits University accounting science graduates excelled in the part one board examinations written in January, on their road to being qualified as chartered accountants. Head of the School of Accountancy, Professor Nirupa Padia, said it was a remarkable achievement and critical for students who are on the road to becoming qualified chartered accountants and that the school was very excited about the results. Justin Logie, Dusan Ecim and Kayleigh Greenslade are three graduates who passed the exam with honours (above 75% result) and were ranked in the top 10 of the national results. Greenslade, a Wits School of Accountancy academic trainee, came in seventh in the national rankings. She says the exam preparations were difficult, because it was written in January and she had to prepare during the December holidays. “This is the closest you’ll get to fame in the accountancy profession,” Greenslade said jokingly about her excitement of her national ranking. According to SAICA, 2,633 graduates wrote the exams in January with 60% of the graduates classified as black and 55% female. Padia said that the more rewarding aspect of the 89% pass rates was the individual demographic pass rates. According to her, there was an 84% African pass rate, 90% for Indians and 100% coloured pass rate for Wits graduates with the African graduates having a higher ratio than other graduates. The demographic pass rates are important for the school, because it serves the transformation agenda of the School of Accountancy. Padia said that she believes that Wits is already transformed in terms of the intake, but she doesn’t believe it is the same in terms of outcome in overall pass rates. “For us to get a 84% black pass rate was huge, because it shows that we’re not just getting them in but we are getting them to be competent and get out,” said Padia. The exam is written after completing a three year undergraduate degree in accounting science and a one year postgraduate diploma in accountancy or honours in accounting science.